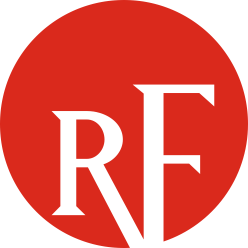 ​Entities may register in the ReliabilityFirst Ballot Body at any time during the Standards process. ReliabilityFirst will review all applications for joining the Ballot Body, and determine whether they qualify for any of the self-selection categories. To comment or vote, one must have an active membership in the Ballot Body. The contact designated as "Primary Voter" is the voting member, with the "Secondary Voter" as the backup. Registration for the Ballot Body is not the same as registration for the compliance registry. Registration in a Ballot Body goes beyond the compliance registry in that entities smaller than those stated in the compliance registry guidelines are allowed to register in a Ballot Body. Entities must have evidence that they qualify for the Ballot Body category they register in. To join the Registered Ballot Body, please complete the ReliabilityFirst Ballot Body Registration Form (included on this page). For any questions regarding the Registered Ballot Body, please visit our Contact Us page and direct your question to the Standards group.